It’s no secret that I am somewhat of an aviation fanatic. I bought my first DSLR camera so that I could take better pictures of airplanes. My first post on this blog was regarding airplanes. You could say my interest in photography is as a result of my love for aviation. How I ended up shooting weddings is for another post. I’ll do just about anything to get a good airplane picture. To capture the pic below I went as close as possible to the edge of the runway to capture a Virgin Atlantic aircraft landing in Montego Bay. This shot took me two years and over five visits to the airport to capture. 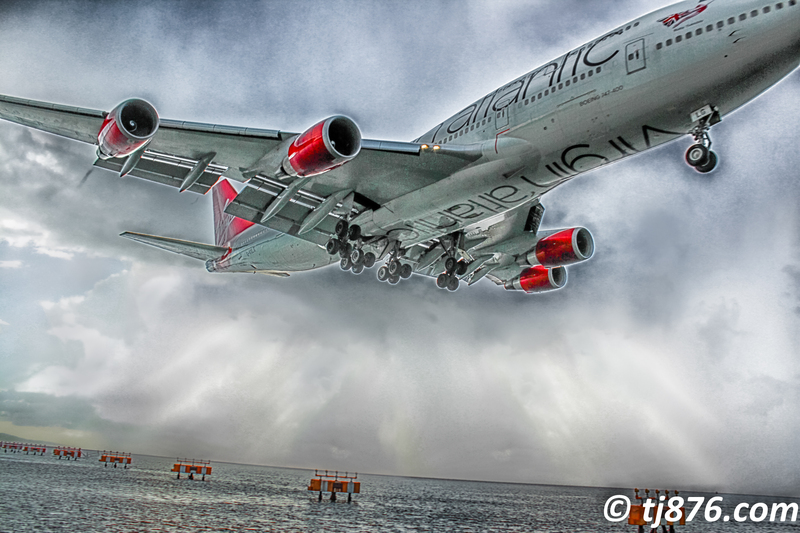 Virgin operates one of the only Boeing 747s flying into Jamaica. It may seem insignificant but it really is a big deal (to me at least). When I heard the announcement that President Obama was visiting Jamaica, I couldn’t contain my excitement. I had to get a picture of Air force One in Flight. My plan was to capture the presidential aircraft from this location where I got this Fly Jamaica aircraft while it was seconds from landing. It would be an epic picture. On Wednesday afternoon at approximately 4:30 I left work, wife in tow, and headed to my vantage point along the palisadoes road. I passed several police/military check points where I was informed that I could go to Port Royal but I had to stay there until 10pm when the roads would reopen as they would be closed at 6pm. That wasn’t an issue. Sitting in the car for 3 hours after the president landed, counting the stars, would have been worth it. Shortly after arriving at “the spot”, a passing cop advised that we could not stop anywhere along the stretch. This ruled out any possibility of getting the dream picture. We decided to leave the area before the lock down. Our next stop was the Down Town Kingston waterfront. It has a clear view of the airport runway but it was significantly farther away than our dream location. 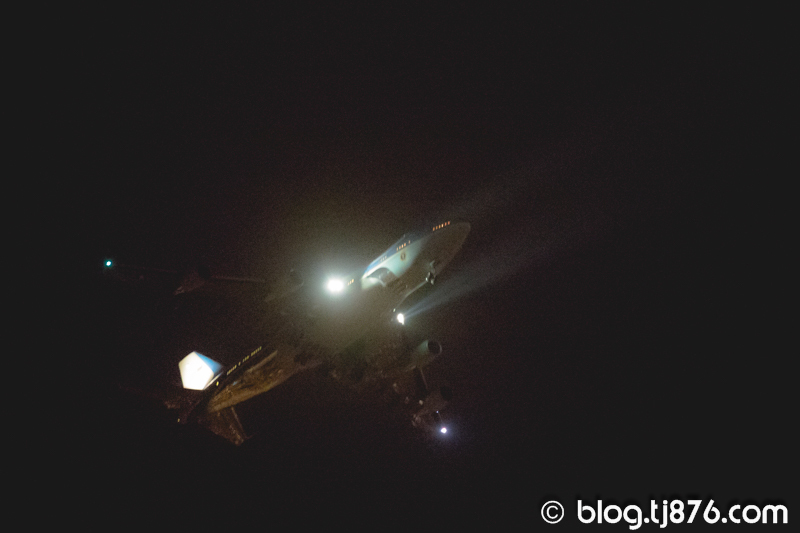 After a few test shots with two commercial flights landing at the Norman Manley International Airport, it was concluded that my measly 70-200mm lens would not be sufficient enough to get Air force one in all its glory. The only other option I could think of was to drive to Portmore. Generally speaking, Portmore is in line with the approach for the airport’s only runway. 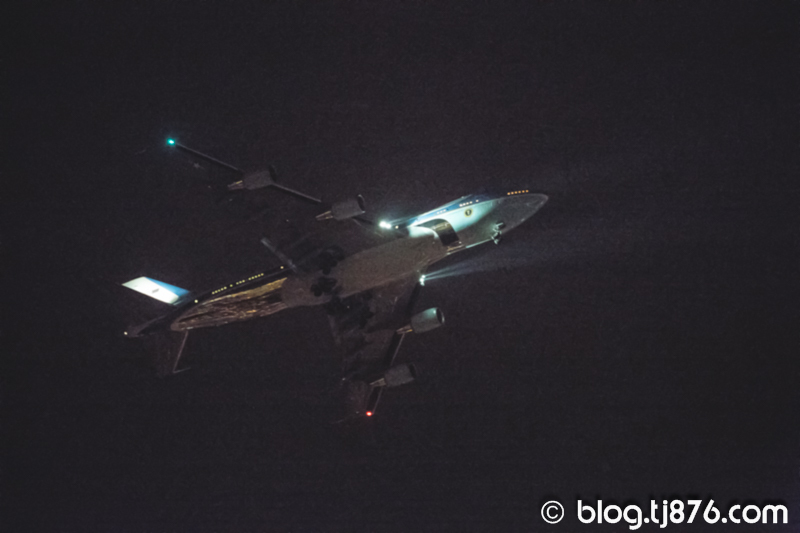 However, this was only true if the winds continue to blow from east to west (airplanes typically land into the wind) and the pilots didn’t attempt to do any super-secret manoeuvre that would bypass the predictable flight path. Our first stop in Portmore was at Jolly’s (back road). I visited the NMIA website to see the remaining scheduled commercial flights for the day. This was important as I needed to know the aircrafts’ approach to the runway relative to my location and I needed test subjects before the arrival of the President. 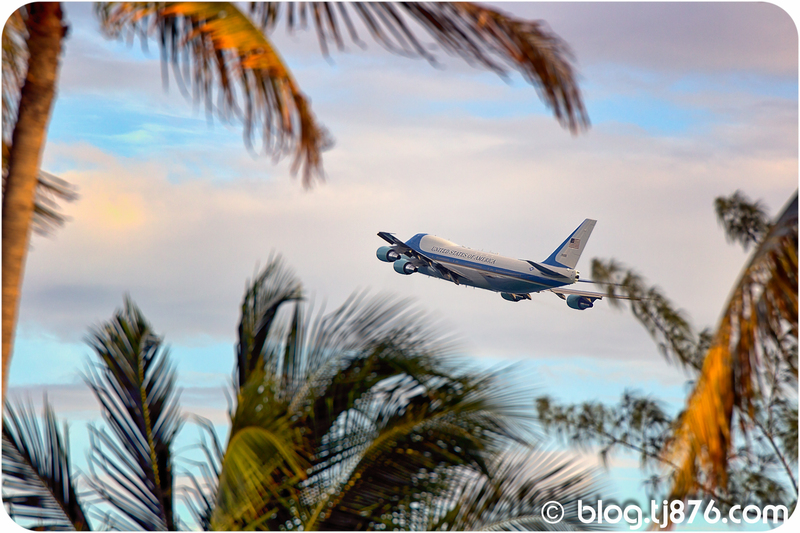 After photographing the last two flights before Obama landed, from Jolly’s, I was not satisfied that I would be able to capture Air force One in a manner that I could be proud of. After waiting on our order of fried fish and bammies from Jolly’s (which was unusually fast), I took the biggest risk yet, that resulted in the President’s 747 flying literally right over my head. 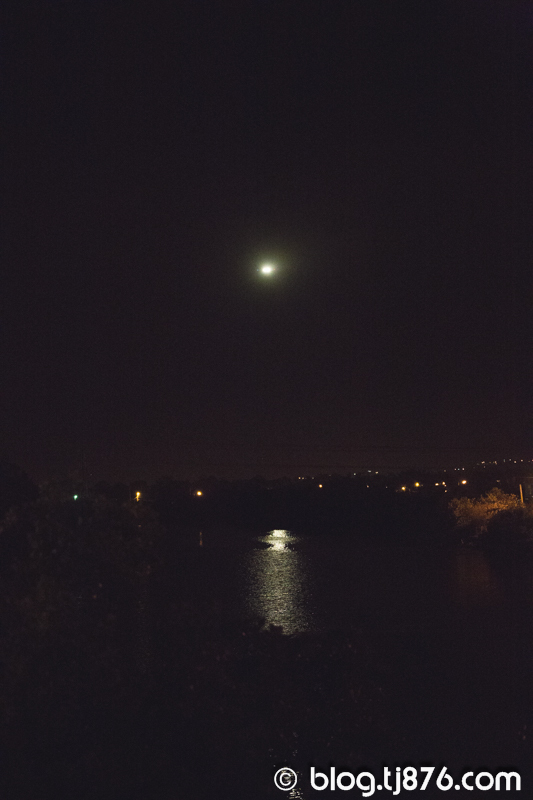 I estimated that the Portmore Mall would be a good vantage point, so we pulled up to the bridge near Edgewater. 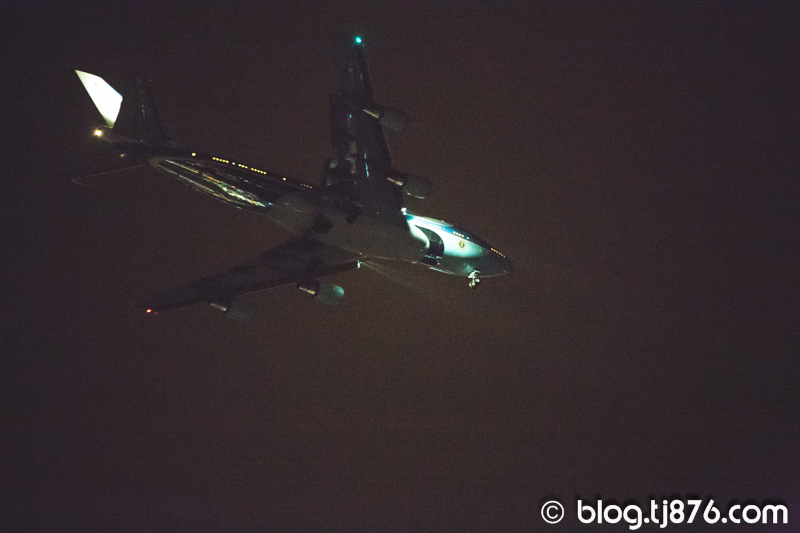 Minutes after our arrival, I saw some of the brightest lights I’ve ever seen on an aircraft. We were so excited as we ran to the top of the bridge with cameras in hand that we attracted the attention of passing motorists who pulled over although they had no idea what we were doing. 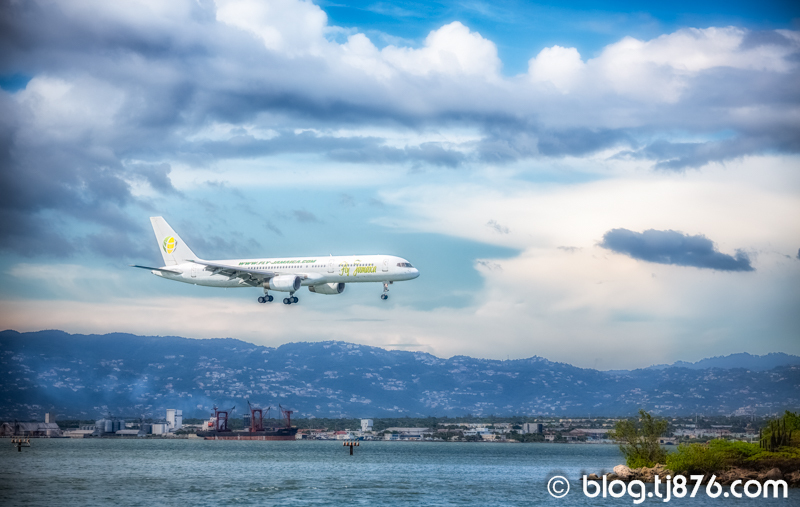 What started off as spec in the sky (7:25:05 PM) and reflection in the canal (7:27:07 PM) turned out to be one of the most magnificent and technologically advanced aircraft to ever land in Jamaica. It was so close, these images were not even cropped. 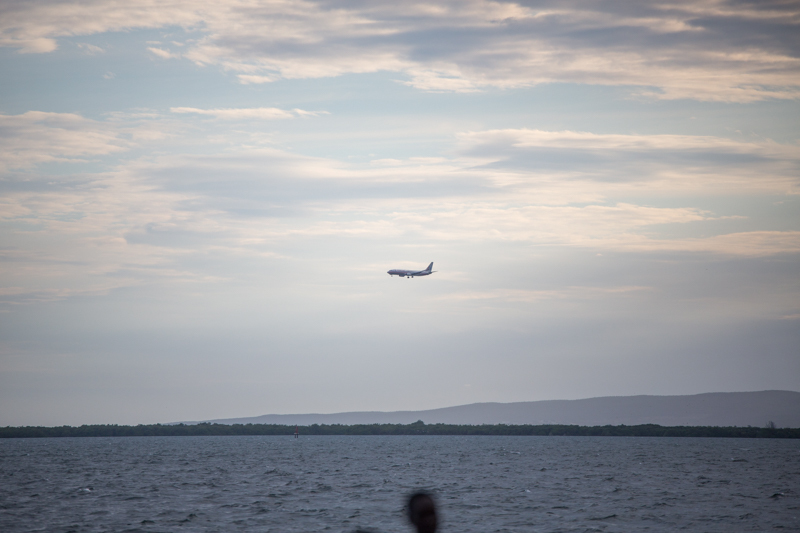 The aircraft was so close it filled the frame of my view finder (7:28:28 PM). Fortune favours the brave they say… Today I was very fortunate. This was the first time I had set my camera to ISO 25,600 and these are possibly the worst quality images I have ever uploaded to the internet. Yet, I am most proud of them. 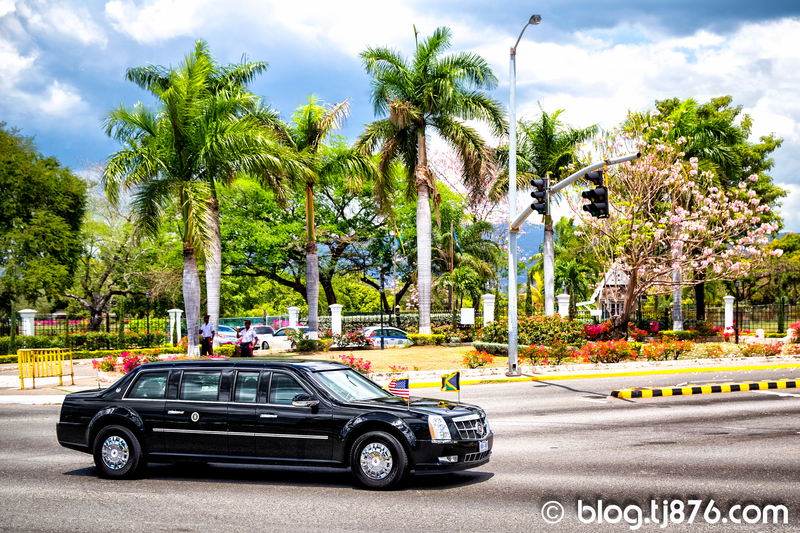 I was also able to capture the President’s Cadillac Limousine (The Beast) in Kingston and also Air Force One shortly after take off at the Norman Manley International Airport (NMIA) as President Obama made his way to the Summit of the Americas in Panama on April 9, 2015. This is a remarkable piece and I love all the pictures especially Air Force One in our Land. Great job Tajeane. These are amazing! This is a remarkable story and the pictures are great. So proud of you!!!! Fascinating story. As a fellow photographer I share your joy. Well captured bro. Loved the buildup in your blog. You went after what you wanted and it was a success. Great shots! Splendid work Tj876. Awesome story, great shot!…like the determination, story needs to be published, see it recording in history.